“We were looking to build what we thought would be the perfect fire pit for our back yard. We saw photos online of what we wanted but we didn’t know what parts were needed. 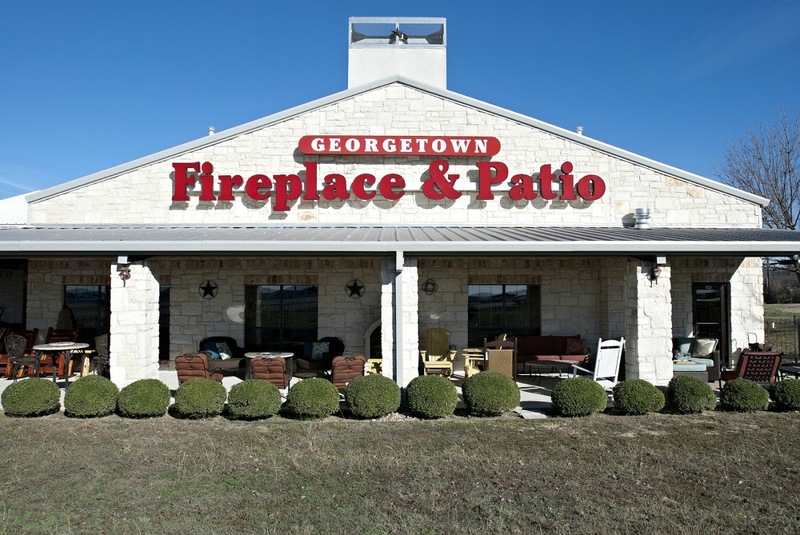 We gave Michelle a call at Georgetown Fireplace and Patio and she was very helpful. Not only did she provide us with instructions during an hour long call but she also was kind enough to send me photos to my phone of the exact specs of the various parts and she even took the time to draw us a picture of where the vents and drains should go. I highly recommend this business for all your fire pit needs.” -Benjamin M.
Professional design team to assist with your selections for your home, free of charge. Largest selection in Central Texas under one roof. Best values… You will find the highest quality products at the best prices. We honor and assist our customers with warranties. We are fireplace safety experts. We have a staff of trained professionals to help you with the difficult decisions. You won’t find the discount patio furniture that you’ll find at the big-box stores and super centers. What you will find is a store full of the just right things that make your patio, deck or backyard the perfect extension of your home. If you want to add warmth to your living room, patio or deck, you can find the perfect fireplace, gas log, fireplace insert, wood burning stove, patio furniture and outdoor kitchens to fit. Come visit us at our showroom and enjoy the large selections available to help you design the perfect style to fulfill your dreams. 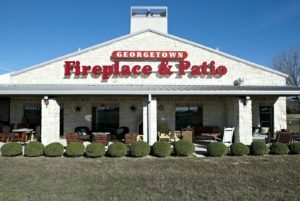 Georgetown Fireplace & Patio offers upscale yet affordable options for all your fireplace and patio needs. We can customize and install your selections for you. We even have our own in-house design team to help you make the most discerning choices for your taste and needs. Having trouble deciding just what would be the perfect choice for your hearth or patio? Fill out the form on this page and schedule a time to meet with our experienced decorator for one on one consultation. It’s free and comes with no obligation. Our store gets very busy at times, especially on Saturday. If you know you are coming, give us a time that you plan to be in the store and we’ll have one of our knowledgeable staff here to personally help you and find what you are looking for. Call us at (512) 930-5850 to schedule a personal meeting. Send us an email to schedule a consultation.